A very nice first edition of The Hobbit. 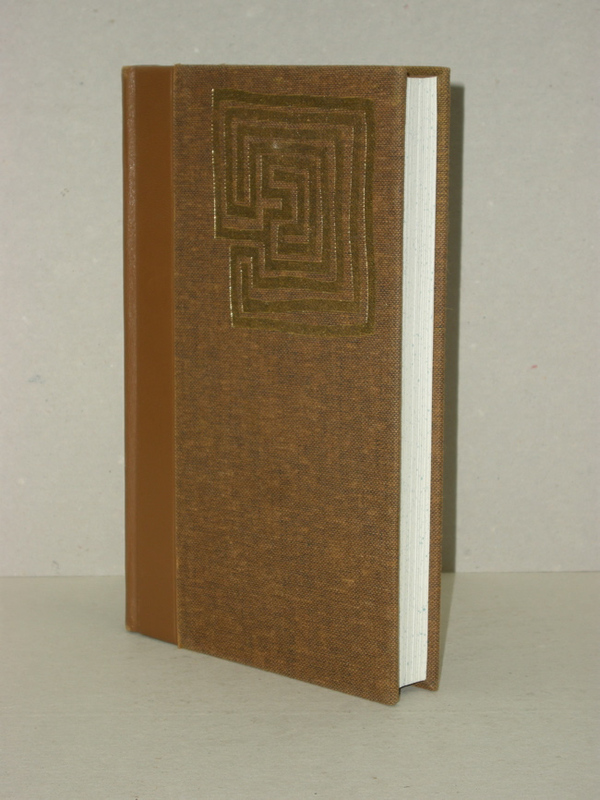 The book is housed in the original publishers slipcase. 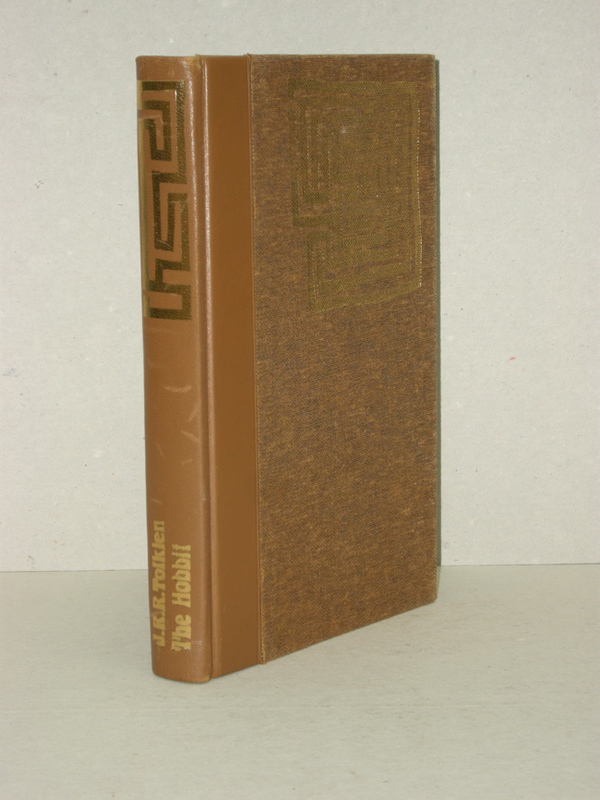 The Hobbit is in Very Good Plus/ Fine condition with original publishers slipcase. Comes with the original Folio Society Order Form / very rare Tolkien ephemera. This is the true 1st printing of the 1st Folio Edition from 1976, with the Folio 1979 maroon colored edition being the 2nd printing of the Folio edition (per Hammond). This is one of the copies where the Folio Society misbound and shows the original Allen & Unwin Deluxe Title page. This Title page does “not” state "Folio Society" as it should, and the rest of the text block is identical to the 1976 A&U Deluxe edition. 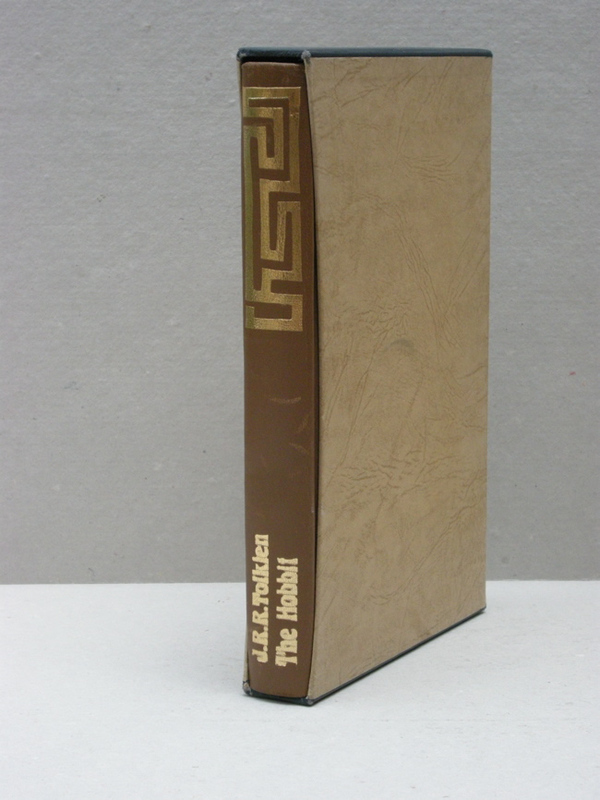 However, some very few of the books were bound by the Folio Society with all of the original Deluxe pages included and not replaced with Folio pages, but with the binding being the Folio format. Most minor of scuffing to leather on the spine and almost no shelf wear to the exterior of the slipcase. Near Fine book in near Fine slipcase.